Recoverit support you to recover data from crashed Windows system with bootable media easily. 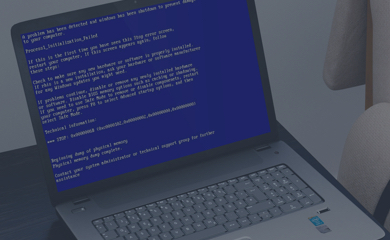 Recover lost data after system crash like blue or black screen crash, when computer cannot boot up into Windows and other bootable problems. 100% Safe to recover lost data from unbootable hard disk and help to access to the computer system with creating WinPE bootable disk. 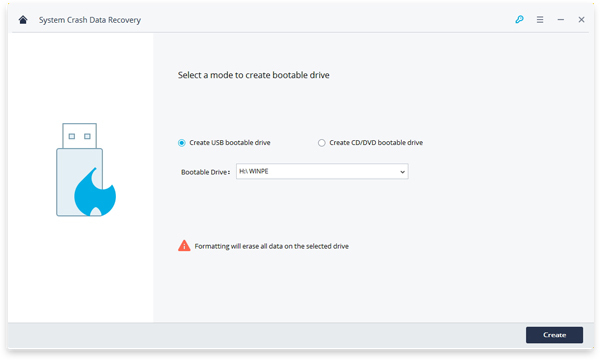 With Recoverit to create WinPE bootable media to help you access the system, no need to reinstall Windows system to recover lost data. 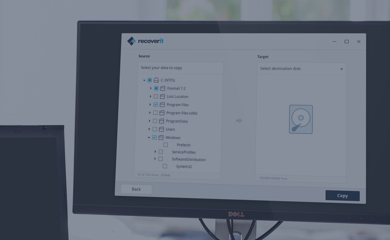 Download and install Recoverit on a working computer. 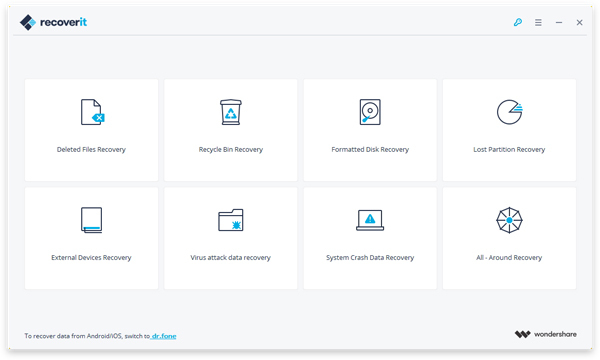 Launch it and select the "System Crash Data Recovery" mode and click "Start" to recover lost data or deleted files due to an operating system crash. 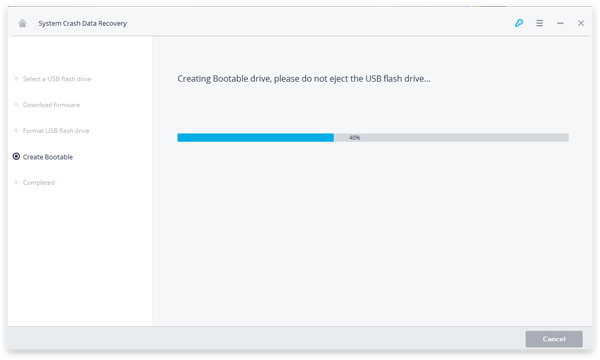 Select USB bootable drive or CD/DVD bootable drive to create a bootable media. Please notice that your chosen bootable drive will be formatted so it is important to back up your data on your drive before. The process of creating a bootable media will be automatically launched. Please do not eject the USB flash drive or CD/DVD drive during the process. 1. Adjust the BIOS to boot from USB/CD/DVD: restart your crashed computer and press the BIOS entry key from the computer launching screen. 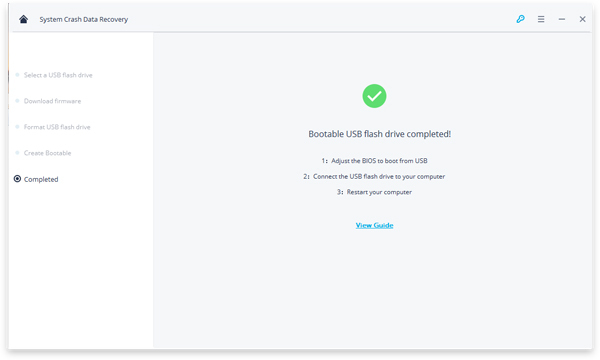 You can check out this page to learn how to set your computer to boot from a USB/CD/DVD drive. 2. Connect the USB flash drive or insert the CD/DVD drive to your computer. 3. Restart your computer and start to recover data from the crashed system.